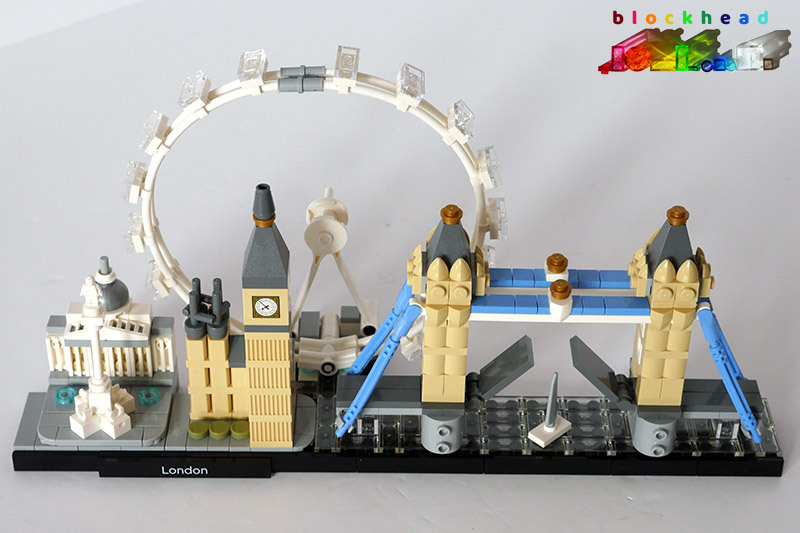 My second Architecture Skyline set is the London Skyline (21034), topical as it’s my nearest city which has been immortalised in LEGO this way. It is quite a bit deeper than the Berlin set I already have, mainly to accommodate somewhere for the London Eye to sit behind Big Ben and Tower Bridge. There were some interesting building techniques, and I think it represents the essence of London pretty well. 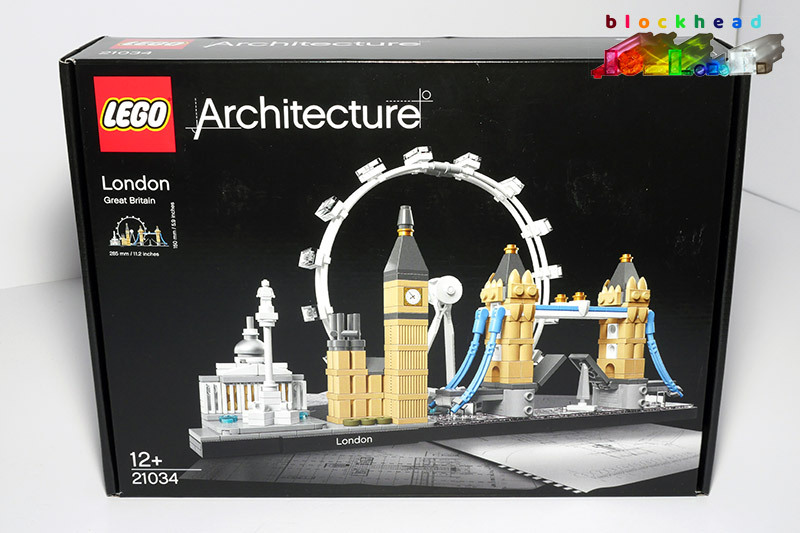 The concept of this big box of LEGO is rather intriguing and, I believe, aimed squarely at the AFOL market: lots of different sizes of brick and plate, in white or trans-clear only, with a glossy book on architecture but no actual building instructions. I was intrigued, and couldn’t wait to do my own unboxing. 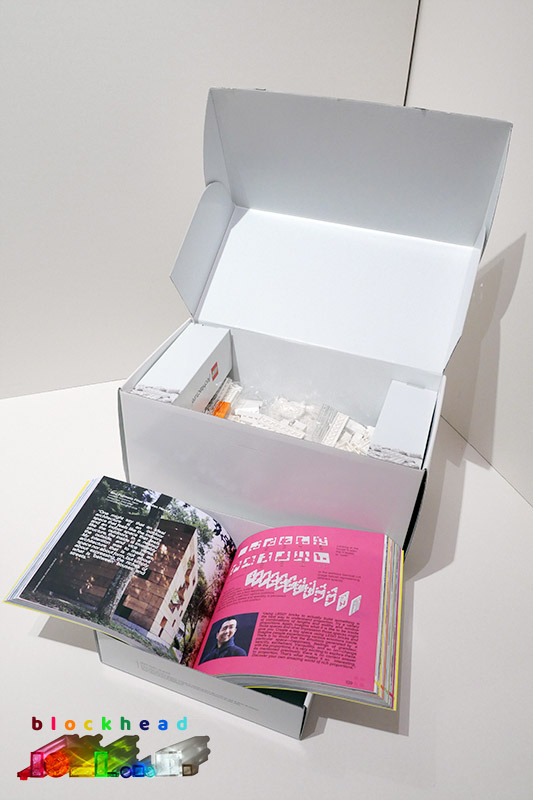 Once you get past the attractive visuals on the outside of the chunky box, the contents are carefully arranged inside. 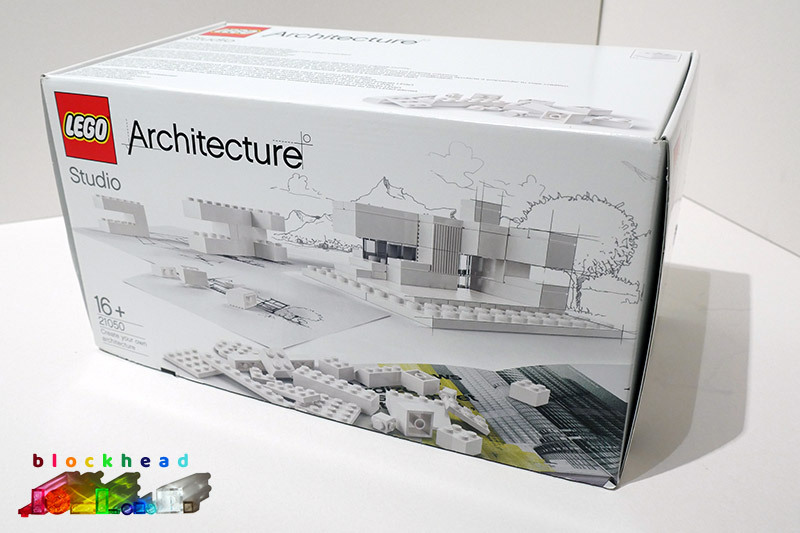 Pride of place is the square-format book, nestling in its snug-fitting cardboard tray (it can double as a LEGO sorting device) which takes you through decades of architectural styles with inspirational images and ideas from leading architects themselves. 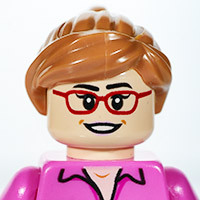 There are a few LEGO-created pieces in it which you could try to build, but you’ll have to wing it as there are no actual instructions for building anything. And that’s the point, to encourage free-form thinking and creativity. It’s certainly not for everybody, but I’m willing to give it a try. Also in the box are two more cardboard trays, and two acrylic sorting trays which each have 4 compartments, I guess to house the smaller pieces when you are playing. And so to the LEGO contents, which are carefully bagged up into 17 separate consignments, sorted roughly by size. They didn’t stay in their bags very long! 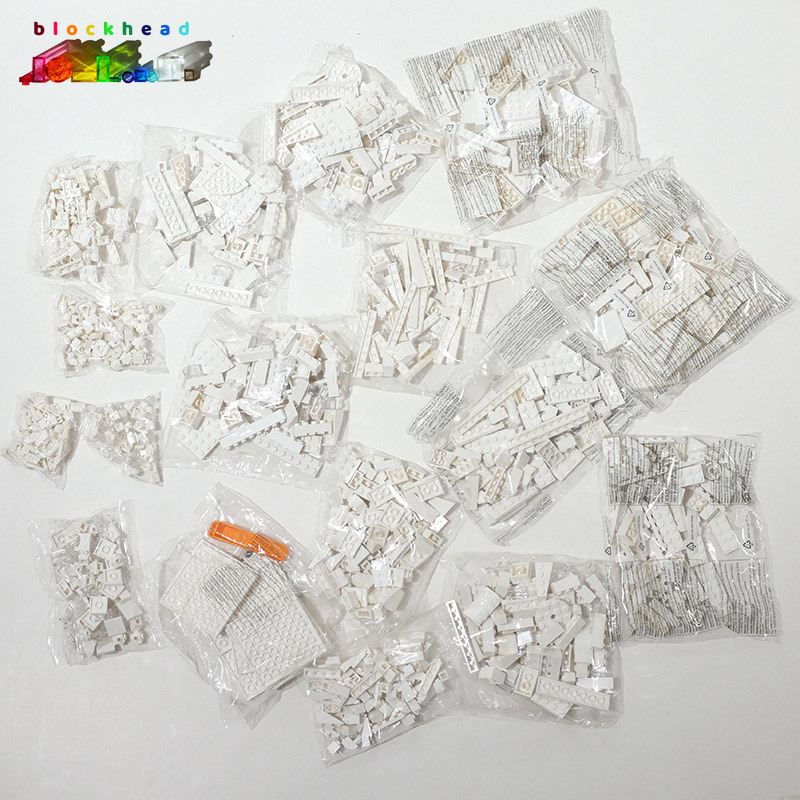 I like to store my LEGO stuck together with bricks of a similar type (and then sorted by colour, but that’s not an issue here). So I spent a happy hour or so going through each bag and finding sibilings before arranging them all in one layout, just so that I could see what I got in the box. From my, so far, fairly limited MOCing experience, I’m always short of transparent pieces of any colour for windows, and so those provided here will be a great boon. 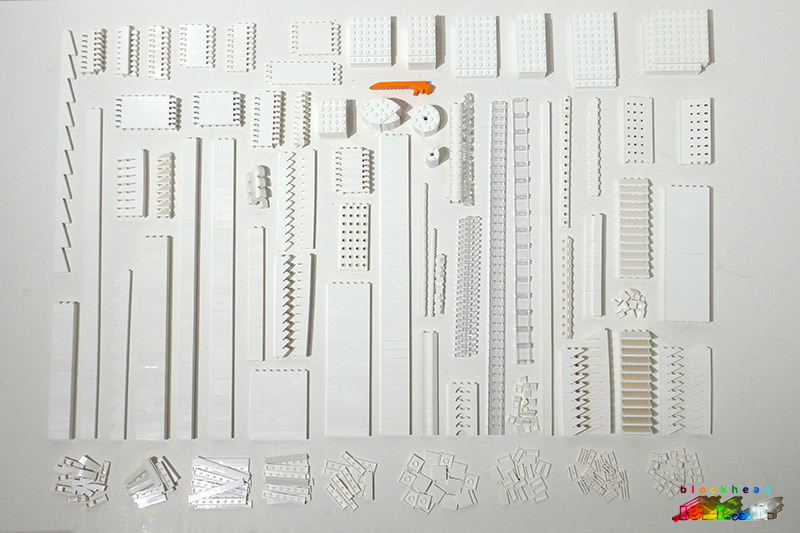 But I won’t be mixing this lot up with my general LEGO bricks. I think I shall keep it separate and just use it as intended, as a toolbox for “3D Sketches”. I’m looking forward to having a play very soon. 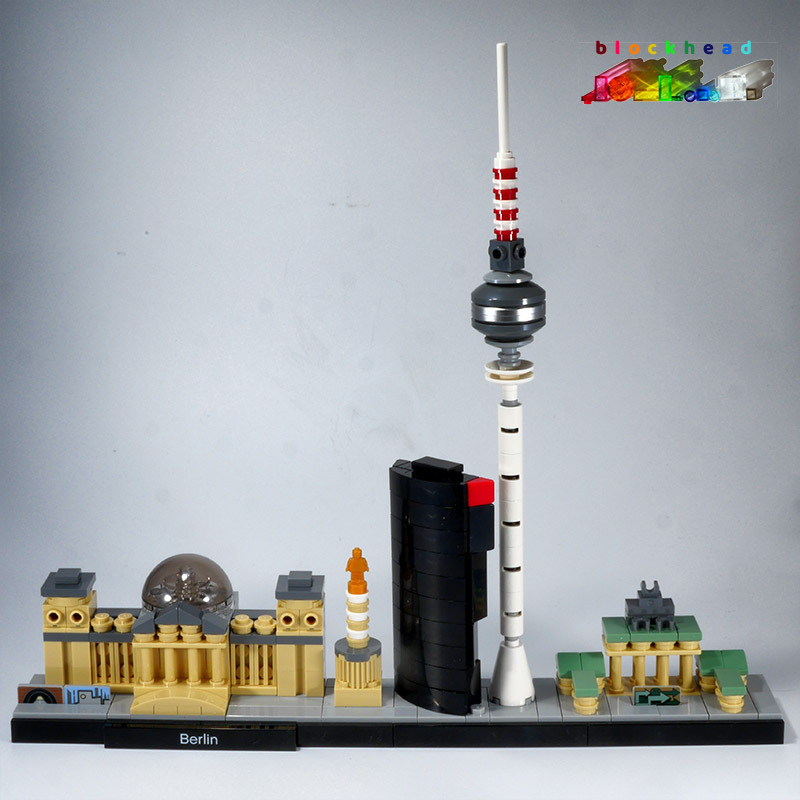 I had a good look around and treated myself to a set from the lovely LEGO Architecture range – and chose the Berlin Skyline as I had visited the city a couple of times and really loved the architecture I saw there. It was a very pleasurable build and started me thinking about small scale architecture – I must go and do some digging around to find out more.